The Day Nursery is open Monday - Friday, 08:00 - 18:00, all year round, closing only for bank holidays and University closure days. Fees are not charged for these planned closure days. *Students must be registered to study at the University of Hertfordshire within the academic year that the child attends the Day Nursery, to qualify for this price range. **An extended lunch time pick up session from 13.00 to 14.00 is available with prior agreement of the Nursery Manager at a cost of £10 per day. Please note if your child is free funded, then this extended charge of £10 per day will still apply. If prior agreement is not obtained, then a late collection fee will be charged at £40 for the hour. Full fees are payable for all booked sessions where a child does not attend, for whatever reason. Morning sessions include breakfast, a morning snack, drinks and lunch; and afternoon sessions include drinks and a light tea. Extended sessions include the same meals as morning sessions. Fees include nappies, wipes and sun cream. Formula milk is to be provided by the parent. Fees are invoiced monthly, one month in advance. Payment terms are 30 calendar days. Payment can be made by childcare voucher, debit card or credit card (charges may apply for credit card payment), bank transfer, or cheque. Any fees unpaid after 30 days may attract a £25 debt chasing administration fee, applied as £25 per unpaid, overdue invoice. Non-payment of fees will result in the loss of a child's place at the Nursery and legal action to recover the debt. Monthly fees for all children will be calculated for each individual calendar month and invoiced in advance. Therefore, your invoice will differ each month. Financial Support available from the University is offered by Student Funding and Financial Support. For any University of Hertfordshire Hardship Fund Queries, and all other financial support queries, please email financial-support@herts.ac.uk. 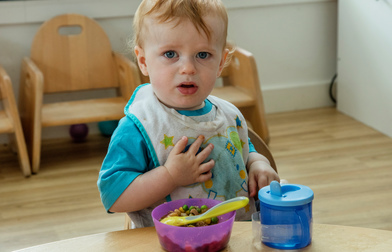 For help with your nursery costs, visit www.childcarechoices.gov.uk. All information regarding the University of Hertfordshire Hardship Fund, which replaces the Access to Learning Fund, can be found on Ask Herts. The Nursery can claim free funded hours for children who are over 3 years old. Each child in this age range is entitled to free education from the term starting after their third birthday. 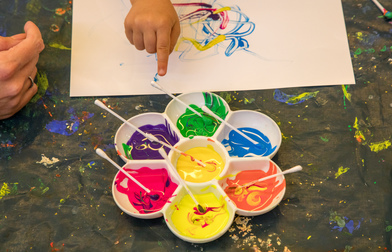 The number of free hours depends on the eligibility of the parent, and is also subject to the parent application being completed, and submitted to the Nursery promptly by the parent. Further details are available on the Childcare Choices website. A retainer arrangement is available for children not attending Nursery for a continuous period of at least 4 weeks, enabling the child's place to be kept open for the child's return. Please ask the Nursery management team for more details.